Matt Britton is America’s leading expert on the millennial generation—he literally wrote the book on it ("Youth Nation")—and has consulted to more than half of the Fortune 500 over the past two decades. Britton’s career took hold in 2002, when he founded MRY (formerly Mr. Youth), a digital and social media marketing services agency. 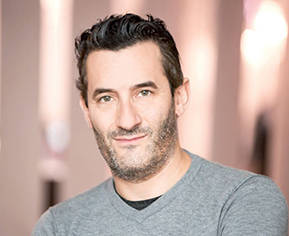 He grew MRY from a one-person startup to a global powerhouse with more than 500 employees, selling the company to Publicis Groupe in 2011. MRY was named Social Media Agency of the Year by Mashable and one of the top 10 most innovative advertising companies in the world by Fast Company. Britton stayed on as Chairman and Founding partner, and in 2016 used his vast speaking experience to join Summit Series as CEO. There he helped to organize and run conferences geared toward young entrepreneurs, artists and activists. In 2017, Britton returned to Crowdtap, joining as CEO. During his tenure there, the company was named one of America’s most promising companies by Forbes, and serviced over 100 of the most prominent brands and agencies in the world, including General Mills, Heineken, Kraft Foods, P&G, Verizon, Walmart and Yum Brands, Britton has received numerous accolades for its work from The Shorty Awards, WOMMA and OMMA, among others. True to style, Britton has now shaken, stirred and invigorated the business to pivot and become Suzy, which delivers real-time insights (up to 300 individual responses in less than an hour). Britton is bringing the voice of real consumers directly to brands at scale and at the speed of culture. Britton has also been recognized as one of Entrepreneur magazine’s "20 Hottest Entrepreneurs Under 30," and featured on Event Marketer magazine’s "It" List for three consecutive years.